Home Caritas Manila donations Public Service Caritas Manila continues relief efforts for flood victims. 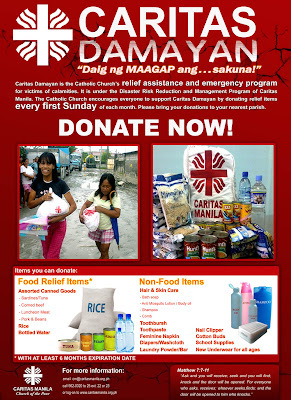 Caritas Manila continues relief efforts for flood victims. For almost a week now, Caritas Manila continues with its relief efforts for the thousands of victims of flooding in Metro Manila. 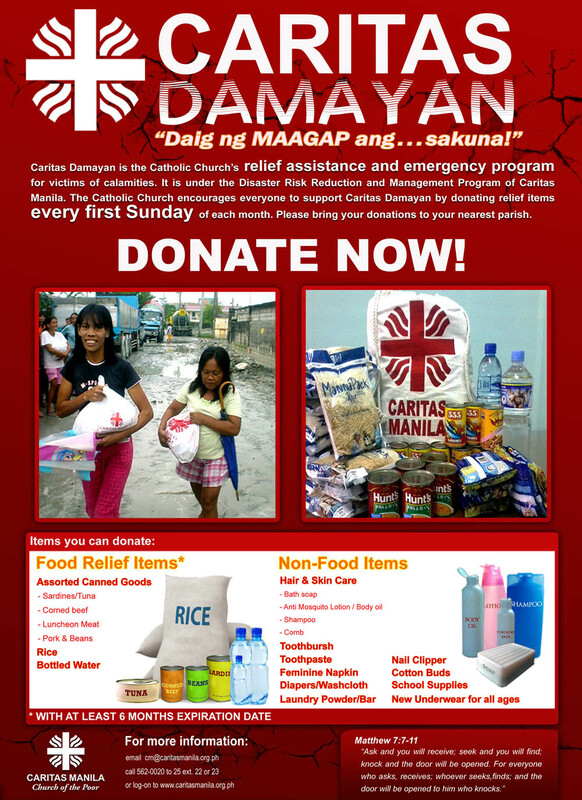 Caritas Manila’s Damayan, the relief assistance and emergency program of the Church as of August 15, 2012 has provided relief assistance to 20, 444 families in the parishes under the Archdiocese of Manila and Dioceses of Caloocan,Cubao, Pasig, Antipolo, and Malolos. 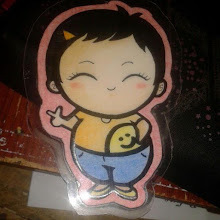 Caritas Manila so far has raised Php 2,892,635 In-Cash donations and Php. 534,618 In-Kind donations from individuals, organizations and parishes for the flood victims. Metro Manila and other parts of Luzon will still continue to experience intermittent rains according to the National Disaster Risk Reduction and Management Council (NDRRMC).